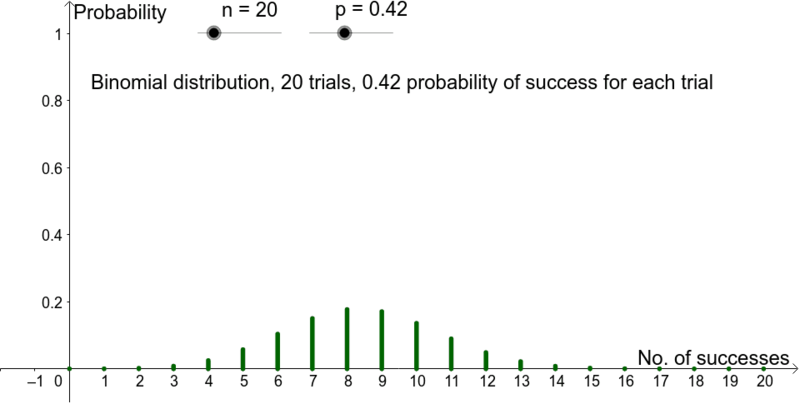 Distribution of a Binomial Discrete Random Variable. X~B(n,p) Click the pause button (bottom left) to stop the animation, and change the sliders to change the parameters n and p.
Is the binomial distribution symmetrical? Where would the critical regions be (say for a 5% significance, hypothesis test)?